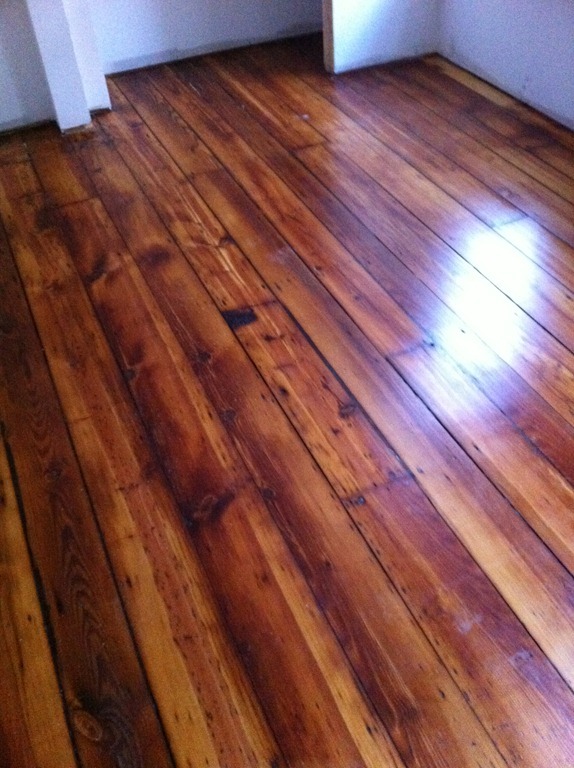 What a difference a coat of polyurethane sealer makes. 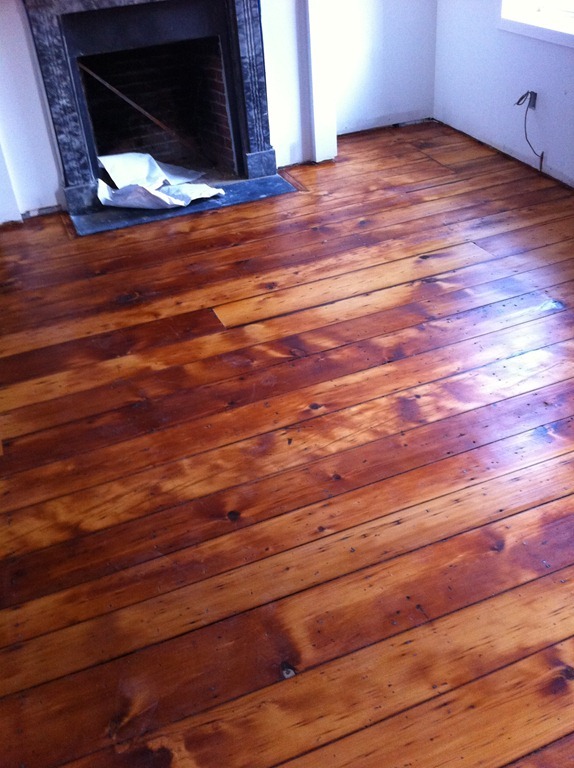 The 100+ year-old wide-plank pine floorboards have had their initial seal – no stain. Compare to the pre-sealed pictures in this post. Perfect! 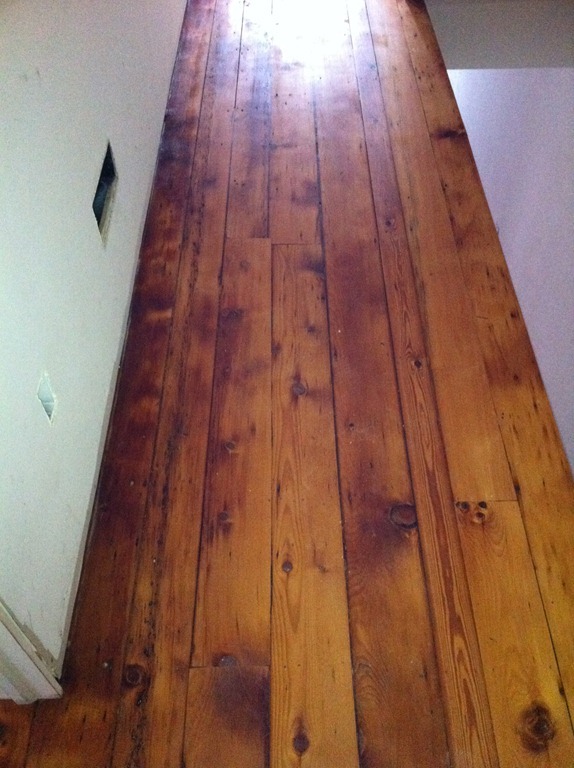 Exactly the color and look we were going for—clean modern lines in the walls vs. aged to perfection flooring brought back to life almost intact. 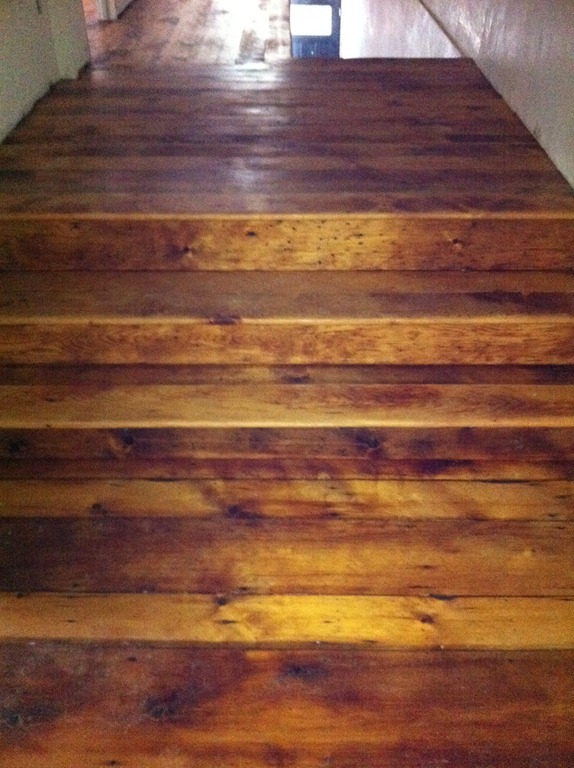 This entry was posted in Guest Bedroom, Media Room, Pictures, Study, Wood Flooring. Bookmark the permalink. 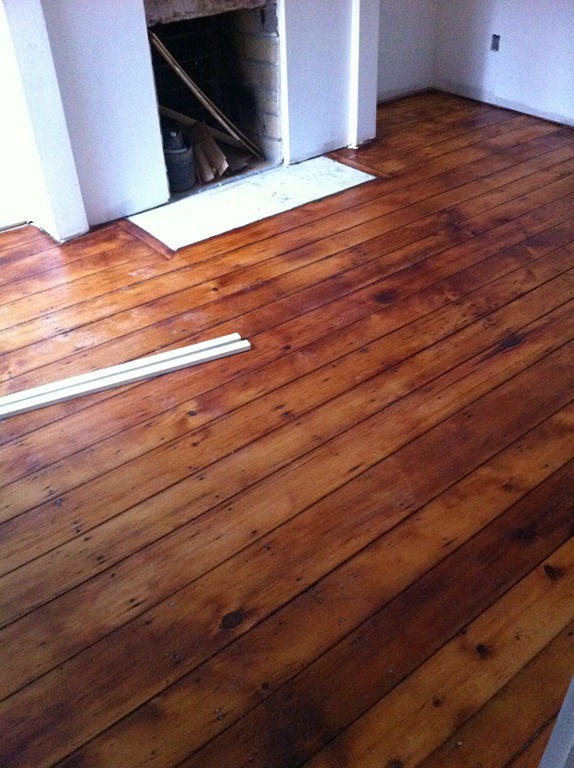 Wow, the hardwood flooring is totally FABULOUS…. The entire home is a Dream!